Preheat your oven to 200C fan forced (220C). Place the chopped pumpkin on a baking tray, toss in a little oil, season with salt and pepper and roast in the oven for 20 – 30 minutes until cooked and slightly softened. Meanwhile, place the sliced onions in a frying pan with a little oil and a pinch of salt and cook over a medium heat until caramelised (about 20 – 30 minutes). Once the onions and pumpkins are cooked, place a 24cm oven safe frying pan over a medium heat and add the butter, brown sugar and balsamic vinegar. Stir and cook for a few minutes until the sugar has dissolved and the mix started to bubble. Remove from the heat and arrange the beetroot and pumpkin to cover the entire bottom of the pan (remember, this will be the top). 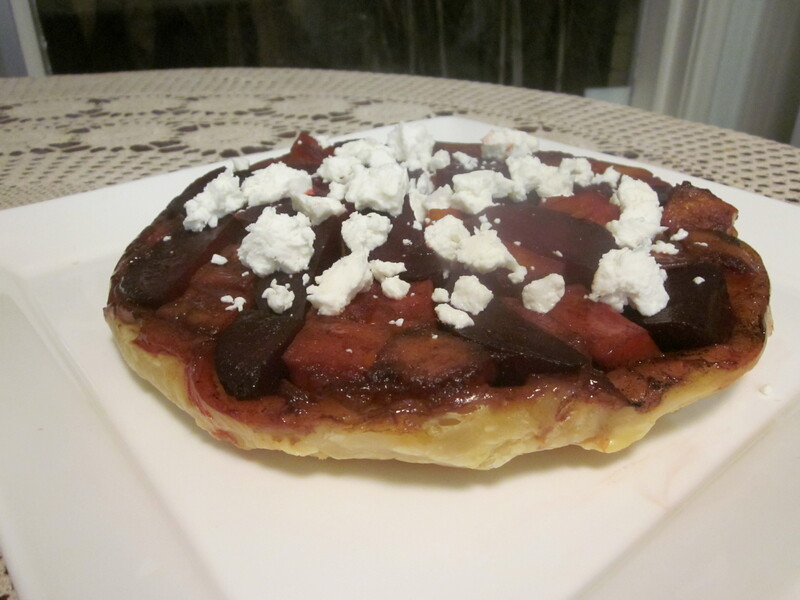 Scatter the caramelised onions over top and then cover with the puff pastry, tucking it in down the inside of the pan. Brush the top of the pastry with the egg wash and then place in the oven at 200C fan forced for 10 minutes. Then reduce the heat to 180C fan forced (200C) for a further 20-30 minutes until the pastry is puffed and golden. 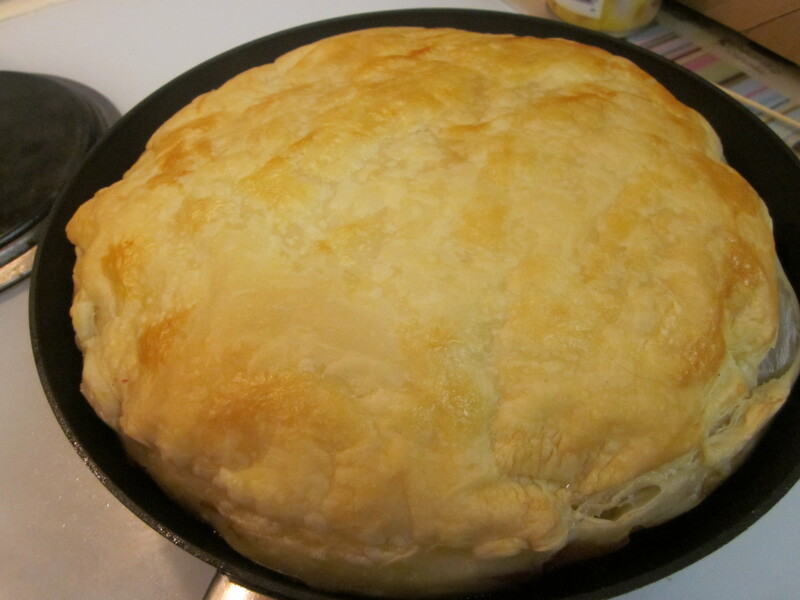 Cooking time will depend on how thick your pastry is. Make sure you cook the pastry through, you don’t want a soggy bottom! Remove from the oven and allow the tarte tatin to rest for 5 minutes before turning out onto the serving platter/plate of your choice. Scatter goat’s cheese over the top and serve with salad leaves.